Our system was designed with the novice Internet user in mind. 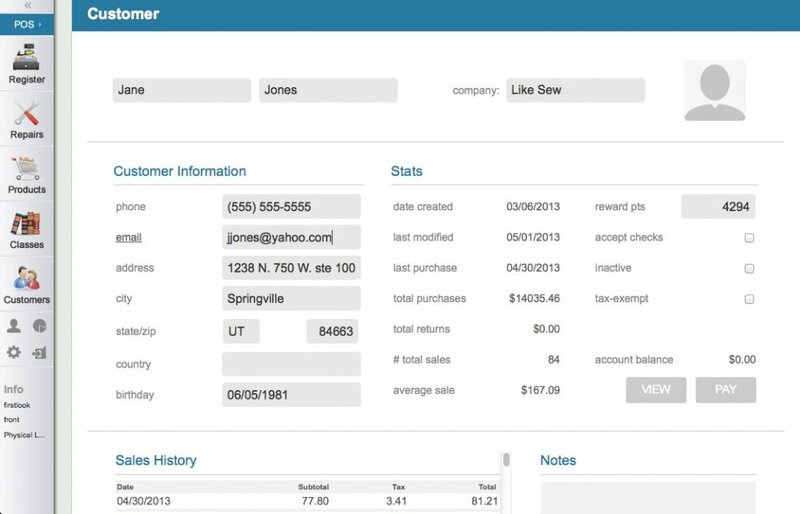 Its easy-to-use, yet powerful interface allows you to look up information on customers, enter products, accept gift certificates, check on classes, and more, with a few simple clicks. With the mobile capability our Point of Sale offers, you can take your POS to a cutting station, a sidewalk sale, a trade show, or really anywhere. Our system is designed to work on iPads and other tablets, giving your business great mobility. You'll never need to worry about losing any of your product information or other content; our system backs up information automatically in the cloud. By keeping your information safe, we're simply giving you one less thing to worry about. 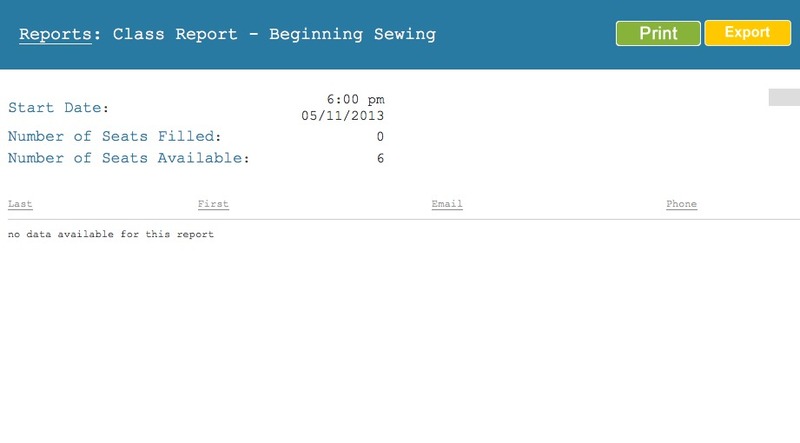 Import products, transactions, taxes collected and more into Quickbooks from Like Sew Point-of-Sale. With our POS, all of your transactions are synced with your website in real time. Your inventory is automatically updated, so you don't need to waste valuable time tracking inventory in separate places and trying to update it manually. See stats; when they last bought, how much they spend, etc. Although our system is intuitive, you will of course want to learn how to use it. For this reason we provide you with how-to videos that you can watch at your convenience. In case you are the type of learner that likes to read step-by-step instructions, we provide you with how-to-guides and FAQs so you can get the info you need in the format you like. Become an expert at using your POS by watching our live webinars. All of our webinars are followed by a live Q&A session where we encourage you to ask whatever questions you have. We hold one training webinar a week on rotating topics. If you ever have questions about using your POS, feel free to give us a call and we'll be happy to walk you through it. You are also welcome to email us at any time. "After switching to Like Sew we have seen a huge increase in sales...I would definitely recommend Like Sew Point of Sale system." It's very user friendly and easy to use. I like that it's more geared towards fabric shops than other POS systems.